Kolohe Kai’s celebrating the release of his new album, Summer to Winter. He’s doing it big, with a big time lineup. Friday March 30th at The Bishop Museum. 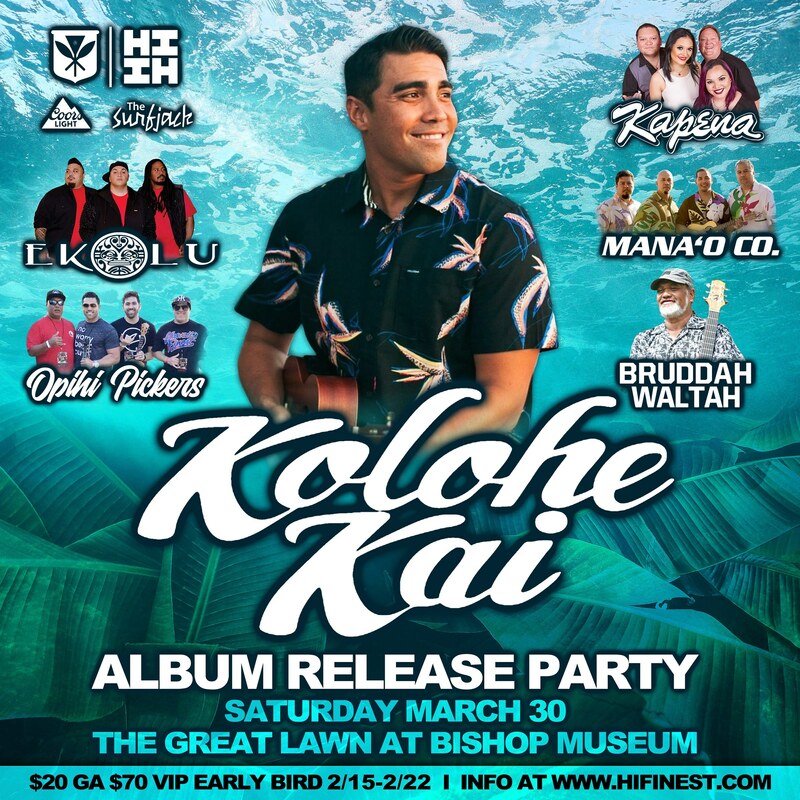 Kolohe Kai’s album debut party will feature Mana’o Company, Bruddah Waltah, Opihi Pickers, Ekolu, and Kapena.